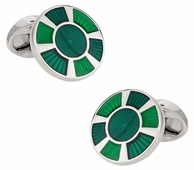 You can use any one of our green cufflinks to show to the world how committed you are to the cause of protecting the nature. 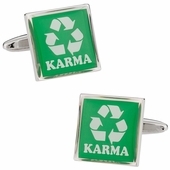 For example, we carry recycling green cufflinks. 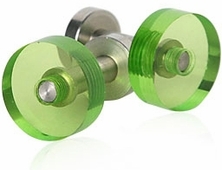 Alternatively, you can share with the world the kind of joy you feel every time you take a walk in the park and see some exquisite little bird chirping in the day. 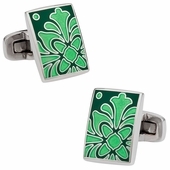 You can even sport flowers as a symbol of your sensitive, gentle, and caring side. 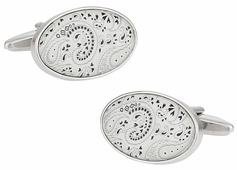 Wear it on a date and your date would gush over the little bauble. 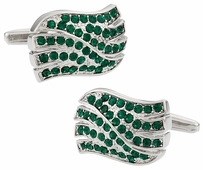 If you are more about the shade of the trees and how they look then, perhaps, you should try our foliage cufflinks which depict a cluster of leaves, branches, and flowers. 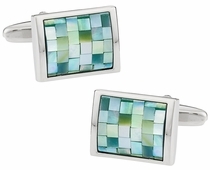 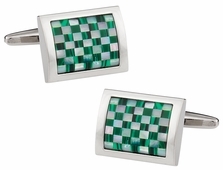 Balance your whole attire with the cufflinks of color that depicts the concept of balance, synergy, and harmony. 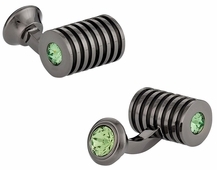 With a staggering array of shades to choose from, we assure you that you will get your green fix from the exotic collection. 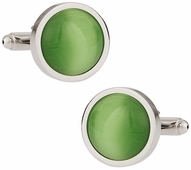 Want people to be green with envy when they see your snazzy sleeves? 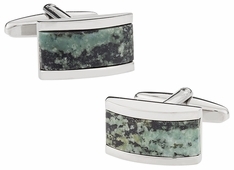 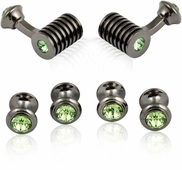 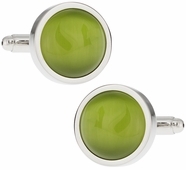 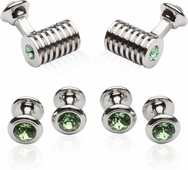 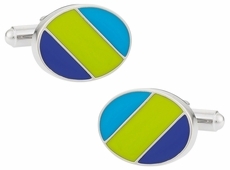 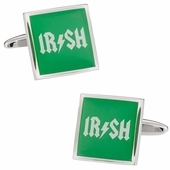 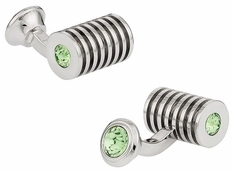 Take a look at our swell selection of green men's cufflinks. 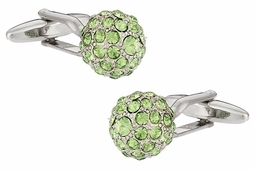 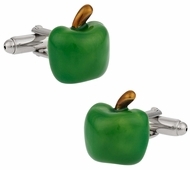 These little green accessories can spruce up any outfit. 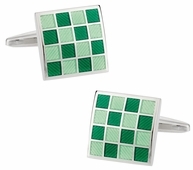 They're ideal for groomsmen gifts or for any other occasion that requires sharp attire. 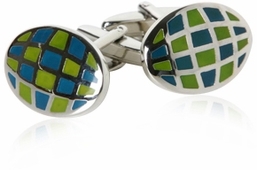 At Cuff-Daddy, the links aren't just restricted to men. 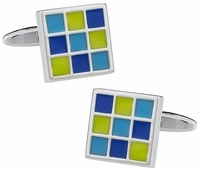 We have a solid collection of women's cufflinks as well. 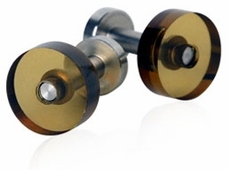 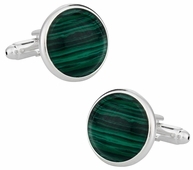 Whether you're looking for formal-wear links, Masonic cufflinks, or just everyday sleeve accessories, Cuff-Daddy.com has got the best selection of affordable cufflinks on the Internet. 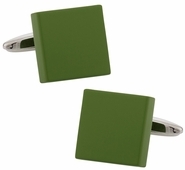 Green Men's Cufflinks: The color green is frequently associated with the environment, so it isn't surprising that more and more people are wearing green cufflinks these days. 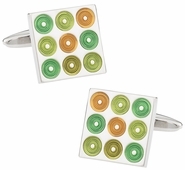 Here at Cuff-Daddy we have scoured the world to find the most unique designs to show your love for being green. 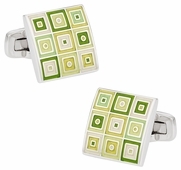 We carry many preppy designs too. 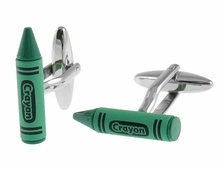 The direct fallout of this is that the color green has become the favorite for a lot of people. 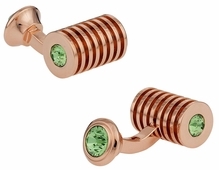 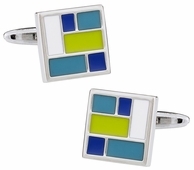 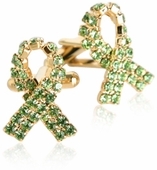 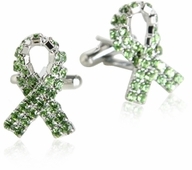 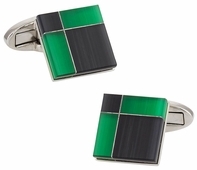 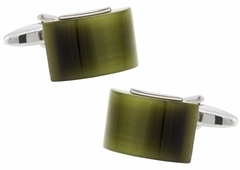 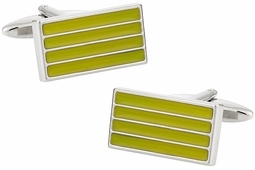 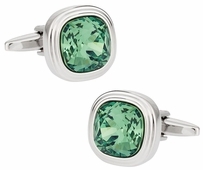 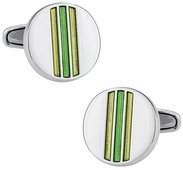 At Cuff-daddy.com, we offer a wide variety of green cufflinks to people who love the color. 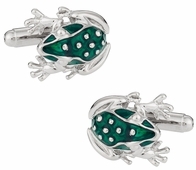 If you love green tree frogs we even have a design to meet your needs.